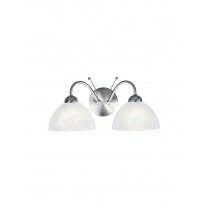 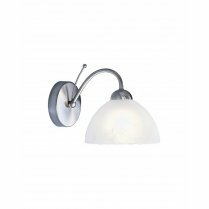 The Zanzibar Satin Silver 2 Light Wall Fitting from Searchlight boasts a wonderful design that will add a vintage look to any traditional kitchen, living room or dining area. 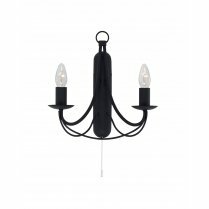 Featuring an ornate wrought iron spiral design and a convenient pull cord allowing you to use the Zanzibar independently from your existing lighting to create a relaxed atmosphere. 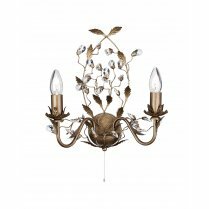 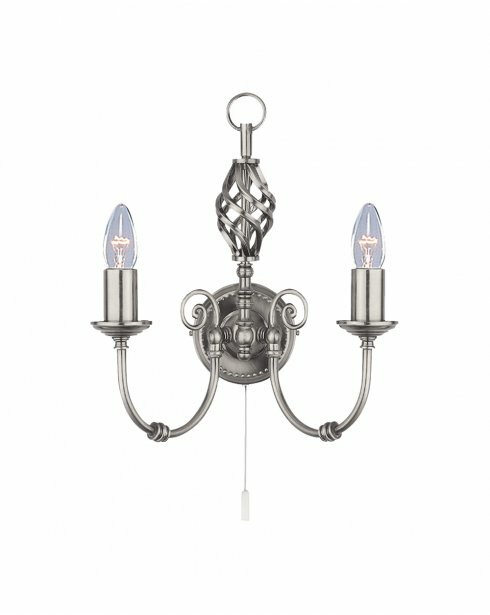 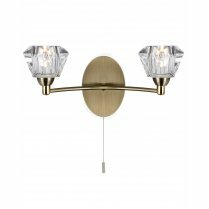 The Zanzibar range extends to 3, 6 or 8 light chandeliers in antique brass, black or satin silver. 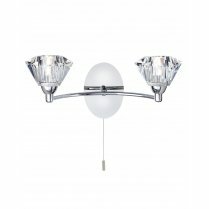 Requires 2 x 60W E14 candle bulbs or suitable low energy E14 bulbs.